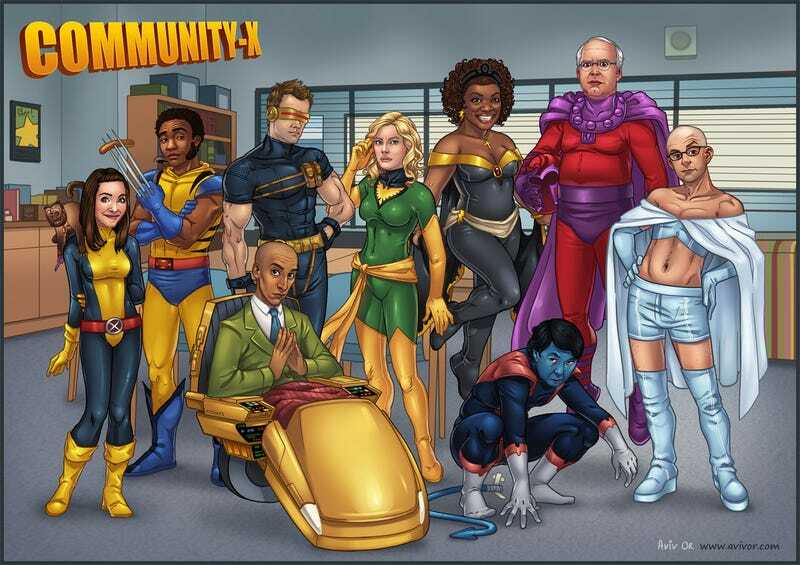 Community is the muse for some pretty far-out tribute art, and illustrator Aviv Or now takes the study group to the Danger Room. I love how the Dean absolutely knows he's owning Emma Frost's battle lingerie. On a similar note, Community versus Arkham Asylum artist Kinjamin has rounded out his mash-ups with Greendaled takes on the Bat-family and Gotham Central. Hat tip to Orshkia!